While Oregon agriculture’s overall growth curve has slowed down in recent years, certain crops and livestock commodities have enjoyed a very healthy increase in production value over the past decade. In fact, only one commodity in the top 20 has recorded a decrease over the 10 year period and that drop is very small. Newly released statistics from USDA’s National Agricultural Statistics Service (NASS) provides a preliminary picture of 2015’s crop and livestock value of production. The numbers indicate that Oregon agriculture continues to be a major contributor to the state’s economy with an overall production value expected to be in the neighborhood of $5.4 billion– similar to the preceding two years. Oregon produces more than 220 agricultural commodities, so there are always winners and losers any given year. Several top ten commodities dropped in production value in 2015, but still show strong gains over a 10 year period. For the second year in a row, cattle and calves tops the list with a production value of $914 million, which is slightly down from 2014. However, over a 10-year period beginning in 2005, the value has increased 71 percent. The cattle industry tends to be cyclical and the strong prices enjoyed the past couple of years are weakening in 2016. Nonetheless, cattle and calves is expected to be a mainstay at or near the top of all commodities in the foreseeable future. The greenhouse and nursery sector has steadily recovered from the nation’s economic recession shortly after the commodity reached above the billion dollar mark in 2007. Greenhouse and nursery’s production value hit a low point of $667 million in 2010. The industry is now fairly close to where it was a decade ago, at $894 million– a 3 percent increase from 2005. Hay saw a near $100 million decrease in 2015 compared to 2014. However, the commodity remains solidly in the number three position in Oregon and has actually increased in production value the past 10 years by 70 percent. Similarly, milk recorded a big drop last year of more than $180 million, but has increased 32 percent since 2005. Like greenhouse and nursery, the grass seed industry suffered greatly during the recession but is now back to where it was 10 years ago, recording a 2 percent increase since 2005 to $383 million. 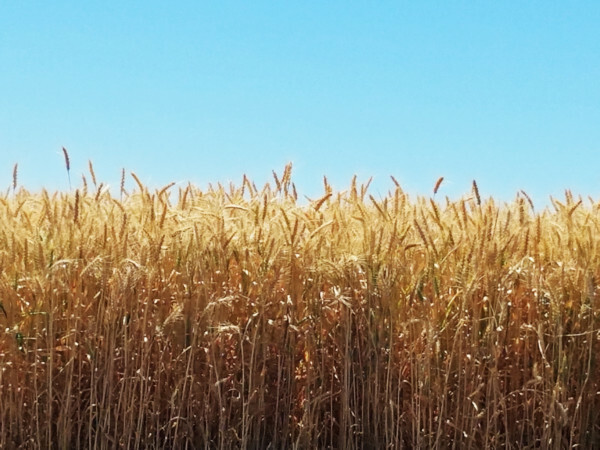 Wheat prices continue to decrease the crop’s value, which also saw a drop from 2014 to 2015. However, wheat is still 20 percent higher in production value than it was 10 years ago. The pendulum has swung widely over the years. Five years ago, wheat’s value was $441 million– twice as much as last year’s figure. Potatoes remains in 7th place among Oregon’s top commodities and recorded a slight increase in 2015. Potatoes was also 7th in 2005, but the value has increased 36 percent since then. Pears moved up to 8th after showing a healthy gain in 2015. Going back 10 years, that increase has been a remarkable 108 percent. wine & grapesEasily the most astonishing growth over the years has been the wine grape sector. Just 10 years ago, the production value stood at $36 million. In 2015, it topped $147 million– a whopping 308 percent increase from 2005. No other Oregon agricultural commodity has seen a higher increase. After dropping out of the top 10 for a year, onions has returned after a moderate increase in production value this past year to $125 million, exactly where it was 10 years ago. Gone from the top 10 is hazelnuts, which saw a large decrease in production in 2015. Nonetheless, its value has grown 50 percent from 2005. Also outside the top 10, there are three commodities that have shown triple-digit percentage increases over a 10 year period. blueberries_in_fieldBlueberries remains a shooting star among Oregon crops with a slight bump in 2015, but a huge jump of 246 percent since 2005. Last year’s production of 96.9 million pounds harvested is a record in Oregon and the second consecutive year the value has topped $100 million. The other two growth commodities include eggs and apples. Egg production value last year skyrocketed to $116 million, which is a 131 percent increase from 2005. Coincidentally, the value of production for apples has also increased 131 percent over that same 10 year period, even though the number is only $44 million. The growing interest in ciders is one possible reason for the recent higher number. The only Oregon agricultural commodity in the top 20 to actually lose production value in the past 10 years in Christmas trees. Still, the decrease is only 2 percent and the production value of Christmas trees last year was actually $20 million more than in 2014. Overall, the swings in production and prices for Oregon crops and livestock have not been tremendously dramatic, with a couple of exceptions. The top 10 and even the top 20 generally contains the same names with a few changes in ranking. Look for that to continue when statistics for 2016 are tabulated.